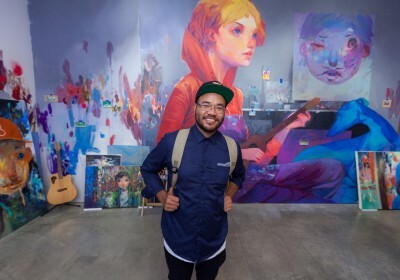 Recently, Yoskay Yamamoto (interviewed) became the latest to go through the FB AIR Program. 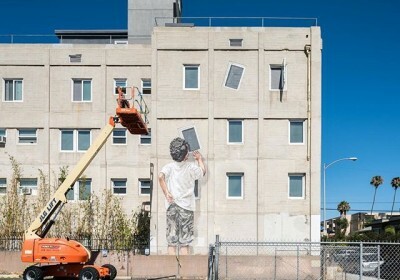 The artist-in-residence initiative saw the Los Angeles-based artist set up one of his signature clustered installations in one of Facebook’s new offices on the Palo Alto campus. 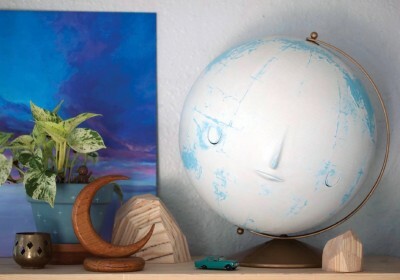 Featuring a series of patterned paintings inspired by the LA sky, sculptural pieces, and hanging elements, Cali Sunset was a welcome addition to the creative work environment. Photos via Derek Puleston, Facebook, and the artist. Discuss Yoskay Yamamoto here. 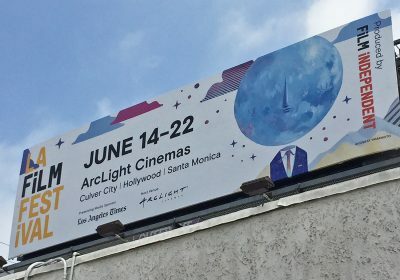 Those of you who have seen billboards advertising for this year’s LA Film Festival may have recognized the imagery of Yoskay Yamamoto (interviewed). 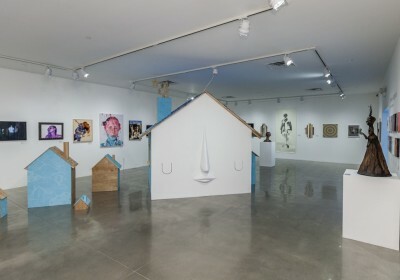 The Los Angeles-based artist’s familiar characters and palette also grace the materials associated with the event including website and newspaper ads. The festival started today, so head over for some good movies and also to enjoy some of Yamamoto’s art. 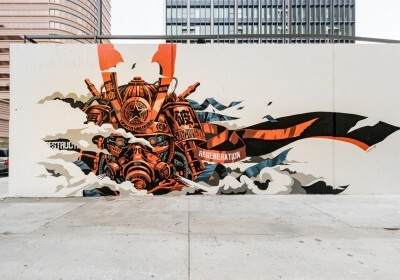 Billboard photo via Giant Robot. Discuss Yoskay Yamamoto here. 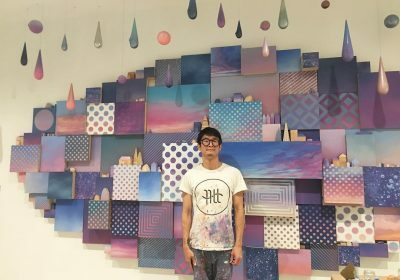 Following up on a solo there in 2014 (covered), Yoskay Yamamoto (interviewed) will be opening a showing at Giant Robot 2 this Saturday, August 20th. 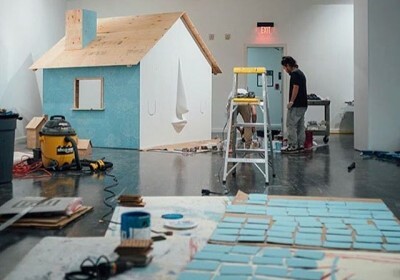 Entitled In Between The Dreams, the exhibition looks to feature more of the locally-based artist’s recent work including sculptural pieces his iconic faces, as well his sunset inspired paintings and drawings. Discuss Yoskay Yamamoto here. The second edition of POW! WOW! 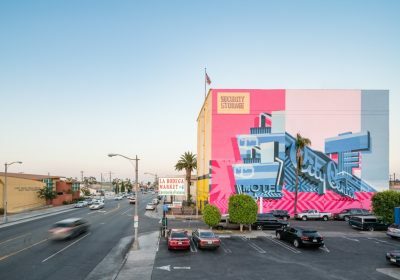 Long Beach is underway with artists painting in the streets as well as inside the Long Beach Museum of Art for the upcoming Vitality & Verve: In The Third Dimension show (covered). 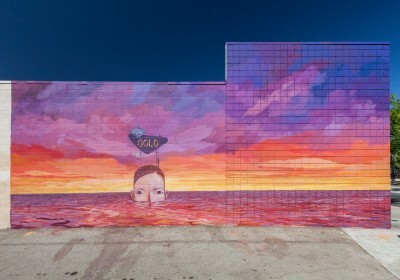 Here’s a look at some of the public art going up before our eyes (map here) featuring some of this year’s participants including Andrew Hem, Cinta Vidal, Ernest Zacharevic (seen above), Felipe Pantone, Hula, Pantonio, Sarah Joncas, and Yoskay Yamamoto (see full list here). Photo credit: @bshigeta. Discuss POW! WOW! Long Beach here.